Yes it’s true, international students can legally work in Canada! If you hold a study permit, you can work on the campus of the institution you are attending if it is publicly funded and grants degrees. No separate work permit is required in this case. The employer can be the educational institution itself, or the faculty, a student organization, or even a private business or private contractor providing service to the campus. You can work on your school campus, or if your school has more than one campus, then you can work only at the location in the city where you are studying. You are also allowed to work as a graduate, research or teaching assistant at an off-campus site that has a formal affiliation with the institution. As a full-time student enrolled in degree, diploma or certificate program in Canada, you are entitled to work off-campus for any employer for up to 20 hours a week. This job should be updated on your Social Insurance Number (SIN). It is advisable not to exceed the hours prescribed by the Immigration Authorities. This option is not available to: English as a Second Language (ESL) or English for Academic Purpose (EAP) students, exchange or visiting students. Each co-op semester may involve a different employer; hence the work permit should state the college as the employer and the institution decides where the student can legally work for the co-op or internship placement. The permit only allows students to work off-campus in positions related to their co-op requirements. Students must have the co-op work permit before they can begin work. This option is not available to: English or French as a Second Language courses (ESL or FSL), exchange or visiting students. Inquire about employment opportunities in your area at your institution’s career centre, your local municipal government, newspapers, and online job banks. Make sure you prepare your résumé in a Canadian format. The SIN is the Social Insurance Number, which is mandatory for international students looking to work in Canada. It should typically be applied for at the time of arrival through an immigration officer or on your visit to the bank or through a Canada Post outlet or Service Canada office. The SIN number ensures that you have the opportunity to apply for a job in Canada, and receive government benefits. The SIN has the same validity as your visa and should be activated on a yearly basis. If you would like to work in Canada after graduating, you must apply for a work permit under the Post-graduation Work Permit Program. International students are eligible to apply for a one or three-year post-graduate work permit after graduation, which is exempt from HRSDC approval. If you would like to stay in Canada as a permanent resident after graduating, there are a number of programs available, each with its own requirement. 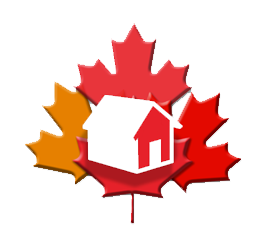 The ‘Come to Canada’ tool can help you come to a decision. You also have the option of an Express Entry. Note: If you are enrolled full time in a publicly funded post-secondary institution and have a valid study permit, your spouse or common-law partner (person with whom you have been living in a conjugal relationship for at least 12 months) can apply for an open work permit. Your spouse/common-law partner’s work permit will be valid for as long as your study permit is valid. 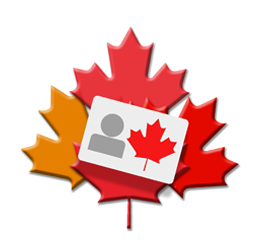 More information on working in Canada is available at the Canadian Immigration, Refugees and Citizenship website. Always make sure you receive a signed contract since it is your official proof of employment. Ask for pay stubs and keep them safely- check them to ensure that necessary taxes are being deducted from your pay. Failure to deduct taxes is illegal. Do not accept any illegal jobs for paid cash where you are not registered as an official employee. Familiarise yourself with the basics of Canadian labour legislation to be aware of your rights and what you are legally entitled to. Ensure that you are paid at least the minimum wage. *All documents must be submitted at one time.